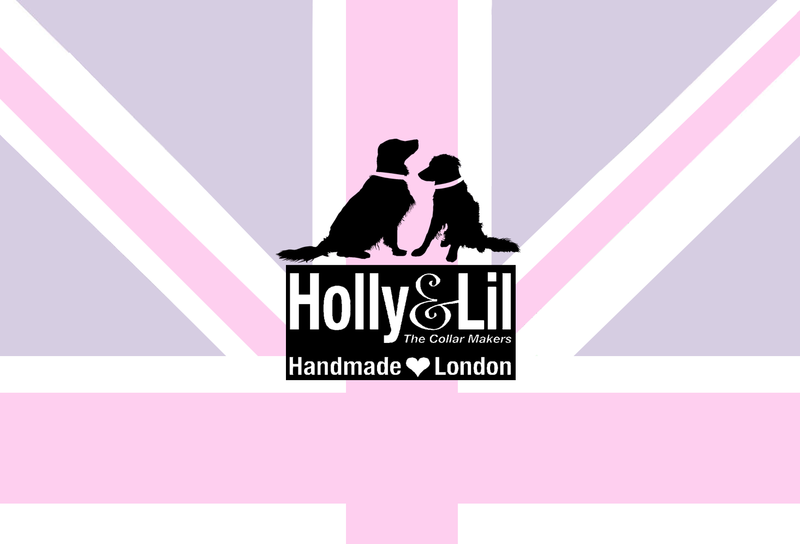 We have to admit to being massive converts to the Toy Breeds here at Holly&Lil and we’ve met so many lovely Chi’s who visit us regularly in the shop. 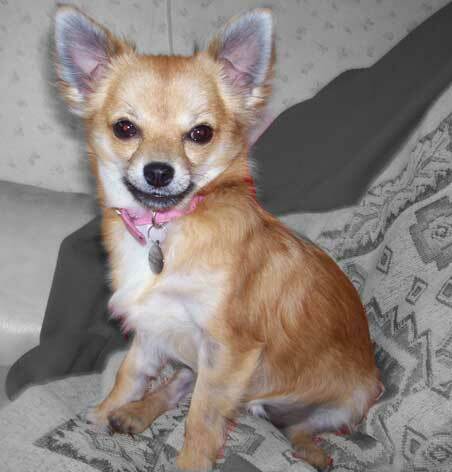 Chihuahuas are big dogs who just happen to be wrapped in a small 'parcel. Paying little regard to their stature, they are quite ready to stand up for themselves - even if the opposition is four times their size! 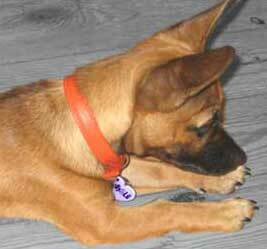 Highly intelligent, and alert, they are also playful and curious! 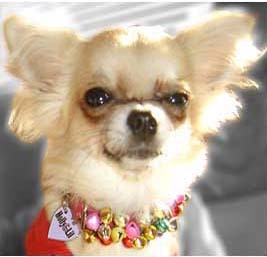 We started designing our special collars for Chihuahuas, when we discovered that so many of them spend their lives in cat collars! 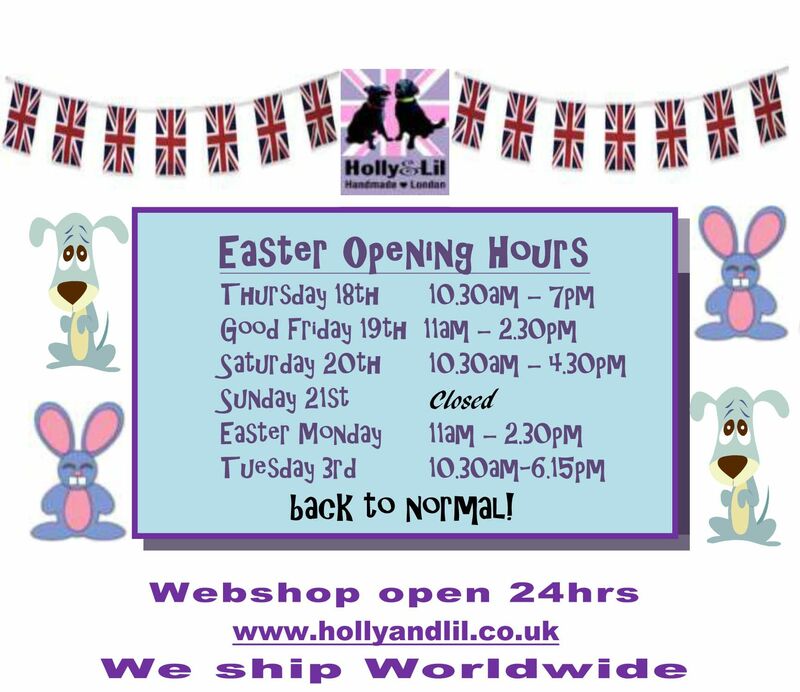 Not at Holly&Lil!.... We go down to the smallest Teacup (Size ½ or smaller if needed), in everything from our soft plain calf leathers to our specially designed “Miniwides”; which pack a huge amount of style into a slim, lightweight, yet strong collar which is perfect for Chihuahua’s tiny necks. You must consider the fabulous Isle of Harris handwoven Tweed Range. They weave the Tweeds in their kitchens on the islands then send them down to us to make into collars. How handmade is that!? 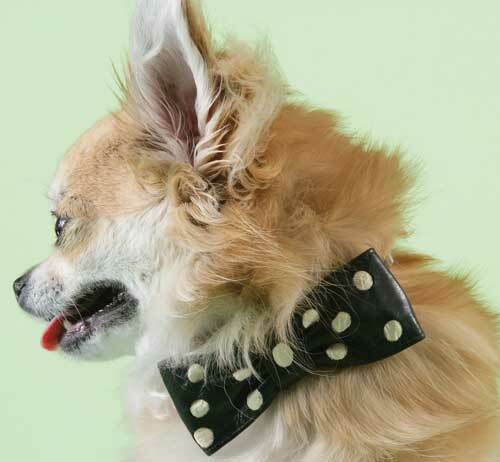 For something simpler, but oh so stylish, Chihuahuas look adorable in our Hollywood Dreams range of contrast piped leathers – or the ultra-sophisticated Bandbox, with its sleek black patent trim; SO Vintage Dior! 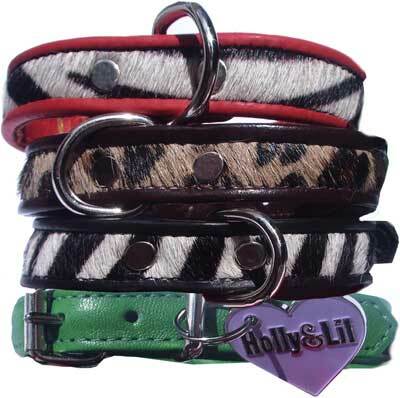 As with all of our designs, they are available as collars, leads and harnesses (see below). 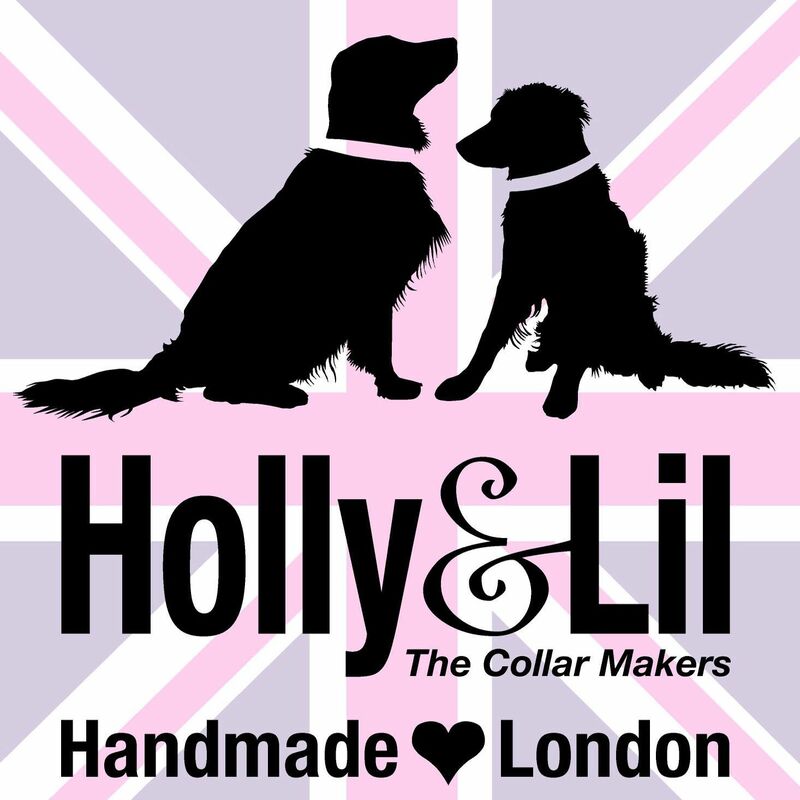 Or consider the gorgeous 'Plain & Simple' calf leather collars, available in all our wonderful colours. 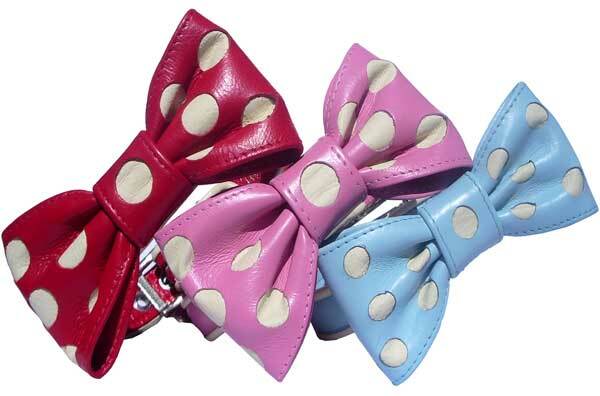 Our adorable Beau Belles collection of handmade bow collars, leads and harnesses can be created in any colour you would like and looks delicious on both short and long hairs. 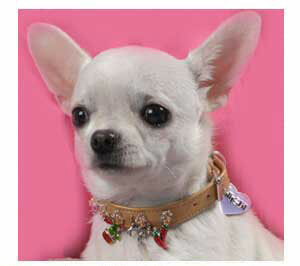 We have just introduced our wonderful teeny harnesses, perfect for Chihuahuas. Individually made to order by our craftsman (delivery 6-8 weeks). Contact us and we will advise on the 5 magic measurements we need to get the size correct. The main body is calf leather with an ultra soft padded chest 'plate', perfect to keep them comfortable if you have to scoop them up. 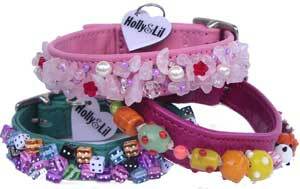 We are also creating fabulous versions of the bow harnesses for them - pictures coming soon. 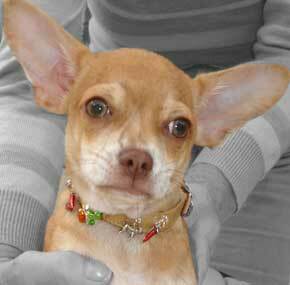 Charm, Semi Precious and Beaded collars all look adorable on Chihuahuas. 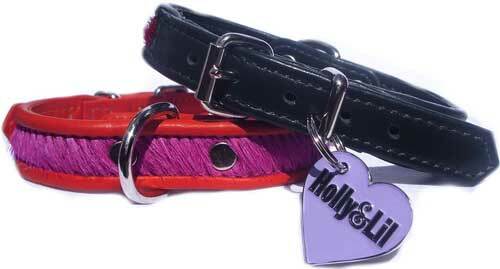 Precious little collars for divine little dogs. 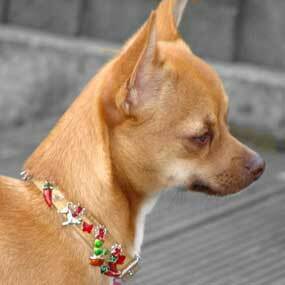 And they can be sewn for you on any colour of leather (our Gold Nappa is a wow on Chihuahuas) and they look fabulous with their delicate matching leads. There’s just so many to choose from! And remember if you have an idea for something you would like us to create specially for you, do go to Make Me One, let us know and we will do our best to make it for you! And finally, to keep your little dogs warm and cosy, do have a look at our Alpaca Handknitted coats (available from October in XS and XXS sizes) or snuggle them up in a washable natural medi rugs, sterilised so they do not smell of sheep and make the dog want to scent mark, sheepskin basket liner. 'Standard Slims' in plain calf leather are ½” wide in Sizes 1/2 and 1. 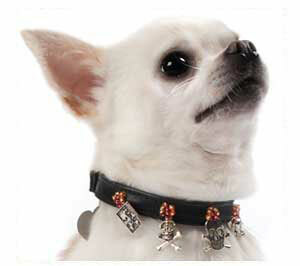 In Size 2 (for the larger Chihuahuas) , they are 5/8” wide. For our piped leather ranges (eg Cowskins, Hollywood Dreams etc) we have created the ‘Miniwide’ shape especially for the Toy Breeds. Measuring just 5/8” under the chin (with light, yet strong fittings) it’s a comfortable 1” wide on the back of the neck….Tried, tested and approved by all our Chi owning customers.